It was less than 48 hours ago when Turkey’s prime minister, Ahmet Davutoglu, joined millions marching in Paris to pay tribute to the 17 people killed by ISIS-supporting extremists. Then, almost the moment he got back, things changed, and as the FT politely paraphrases what transpired, the "country’s president struck a much more confrontational tone." That's one way of putting it. Another is that the former PM and current president, Recep Tayyip Erdogan, of NATO-member Turkey did the unthinkable: accused the west, and French citizens in particular, of staging the Charlie Hebdo murder in order to blame Muslims, even as the mayor of Ankara said "Mossad is definitely behind such incidents . . . it is boosting enmity towards Islam." His punchline: "The culprits are clear: French citizens undertook this massacre and Muslims were blamed for it,” he added. The FT is confused: "Although political leaders in Turkey have repeatedly condemned the attacks on the Charlie Hebdo magazine, a Jewish supermarket and a policewoman, a parallel narrative has emerged in the country, with conspiracy theorists blaming the murders on foreign intelligence agencies rather than radical Islamists." Melih Gokcek, mayor of Ankara for the ruling AK party, said on Monday that “Mossad [the Israeli intelligence service] is definitely behind such incidents . . . it is boosting enmity towards Islam.” Mr Gokcek linked the attacks to French moves towards recognising Palestine. Ali Sahin, a member of Turkey’s parliament and foreign affairs spokesman for the AK party, last week set out eight reasons why he suspected the killings were staged so that “the attack will be blamed on Muslims and Islam”. 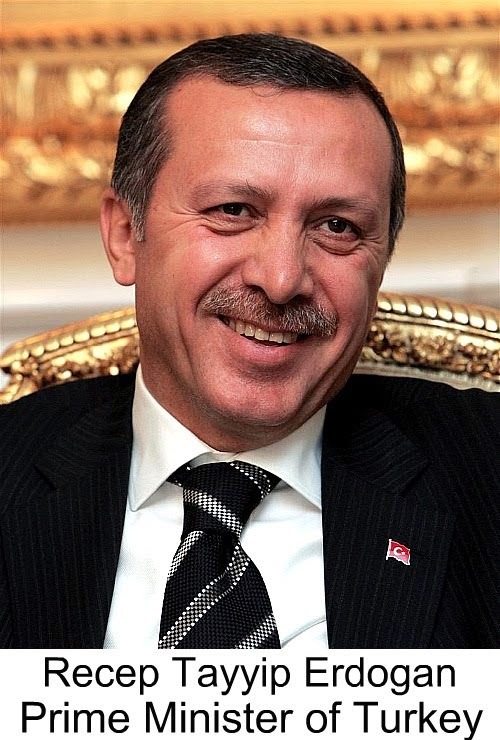 In his own remarks on Monday, Mr Erdogan added: “Games are being played throughout the Islamic world”. He expressed bewilderment that French intelligence services had not followed the culprits more effectively. The FT is further confused that Turkey is not the only place which has dared to offer conspiratorial theories: Russia is too. In Russia, some pro-Kremlin commentators sought to link the killings to geopolitical machinations by the US. Komsomolskaya Pravda, one of Russia’s leading tabloids, ran the headline: “Did the Americans stage the terror attack in Paris?” and posted a series of interviews on its website that presented various reasons why Washington might have organised the attack. In one interview, Alexander Zhilin, head of the pro-Kremlin Moscow Centre for the Study of Applied Problems, claimed the terror attack was US retribution against President François Hollande for a January 6 radio interview in which Mr Hollande urged the EU to lift sanctions against Russia. Washington used the attacks as “a quick fix for consolidating” US and EU geopolitical interests in Ukraine, Mr Zhilin claimed. I thought 9/11 even when the second plane hit that it was some kind of widespread cyber attack on navigation systems to shut down the airline economy. I figured some genius or perhaps a bunch of geniuses were in a room somewhere having a good laugh as they were able to steer planes into anything smashable to destroy our aircraft. Most computers back then were not secured and passwords were pretty easy to hack into. Teenagers could hack into the US Government and cover their trails if they knew what they were doing. The airline industry was still reeling from the late 1980s *system* slowly being upgraded to a much needed newer system of electronic computing.